Being the youngest of five does not exactly give you the opportunity to have a day to yourself. Today was Madelyn's special day! 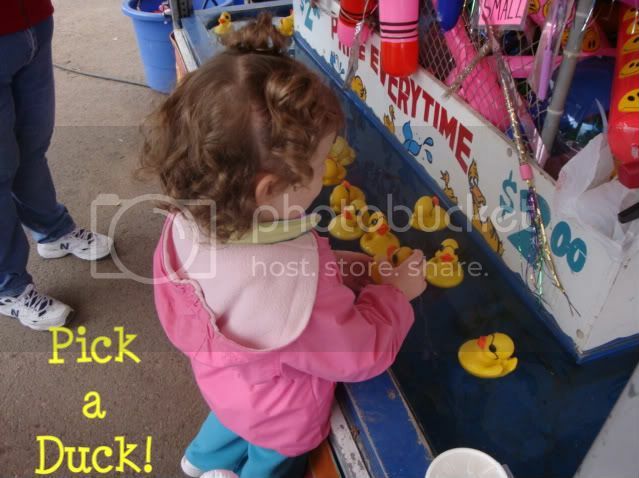 It was the first time she ever got to go to the fair without all of her siblings. She was excited indeed! 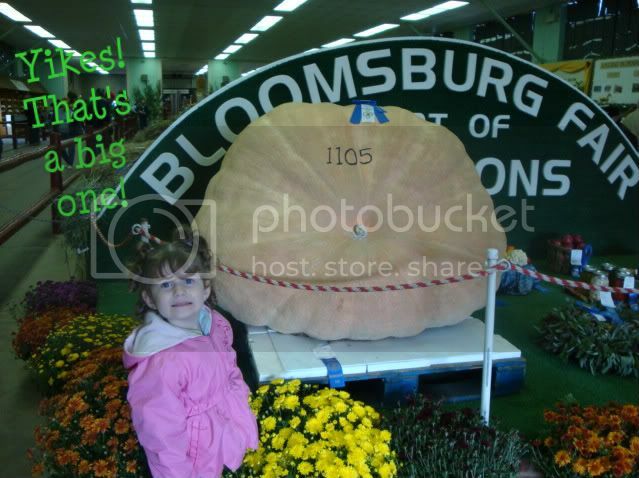 She checked out some pretty big pumpkins! 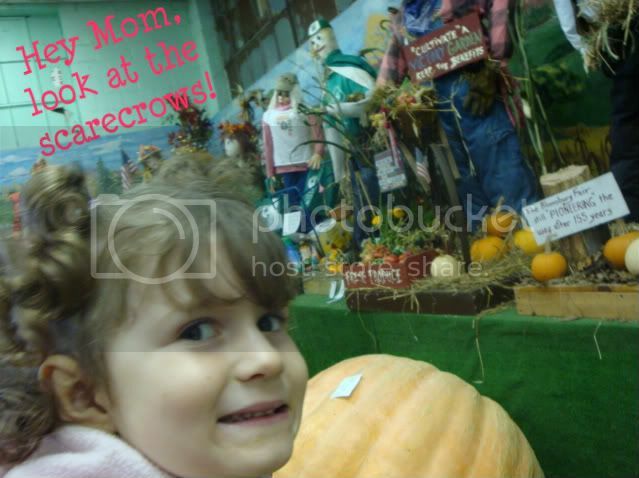 She saw a few super cool scarecrows! She had a tasty lunch! But most of all, she had a wonderful time! I am ashamed to admit it, but I have been a slacker when it comes to Muffin Tin Monday. My kids absolutely love it! Yesterday, Madelyn asked me what day today was, when I responded Monday, she yelled "Yes! Muffin Tin Monday! WooHoo!" How could I deny that sweet little girl her Muffin Tin Meal? So here you have it! 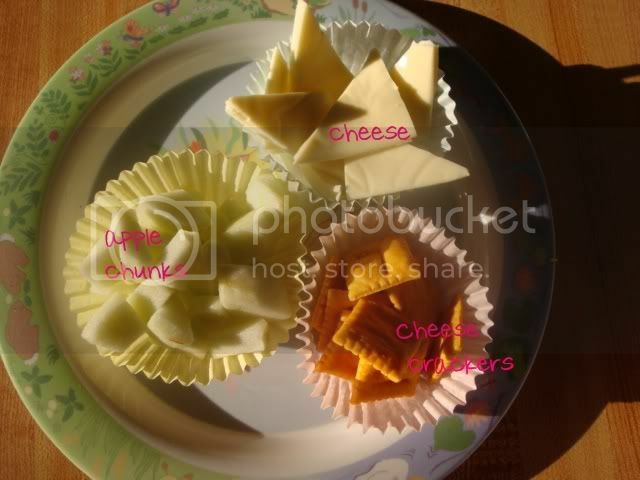 Madelyn's Muffin Tin Monday Snack! Today after church, we had another Cooking With Kids afternoon. 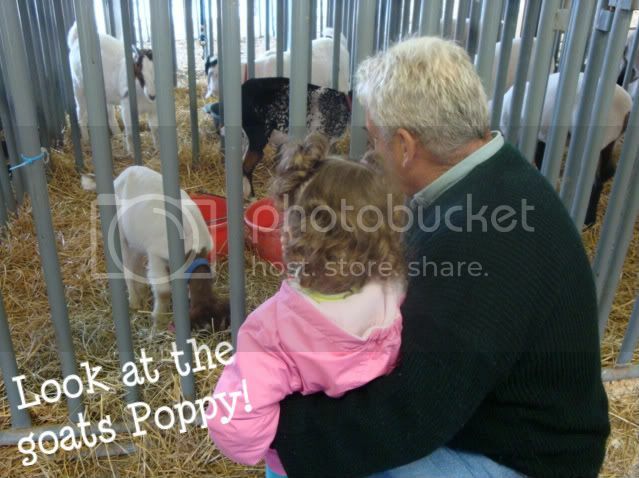 It's such a fun time for the kids and the adults enjoy themselves too! Today was all about hot dogs! 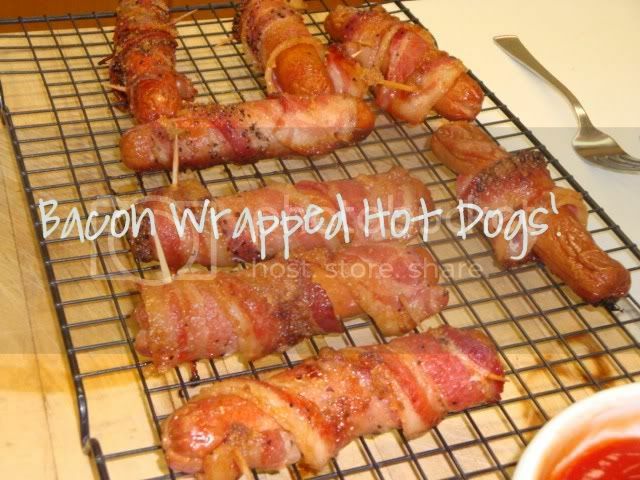 Hot dogs wrapped with bacon and smothered with brown sugar! These were soooo gooood! 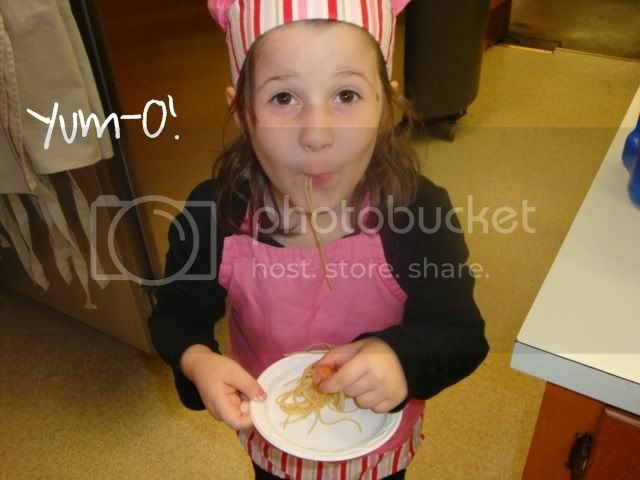 Here is Madelyn, taking a break from unwrapping Hershey kisses for some cookies we made, to slurp up some spaghetti! She said it was delicious! 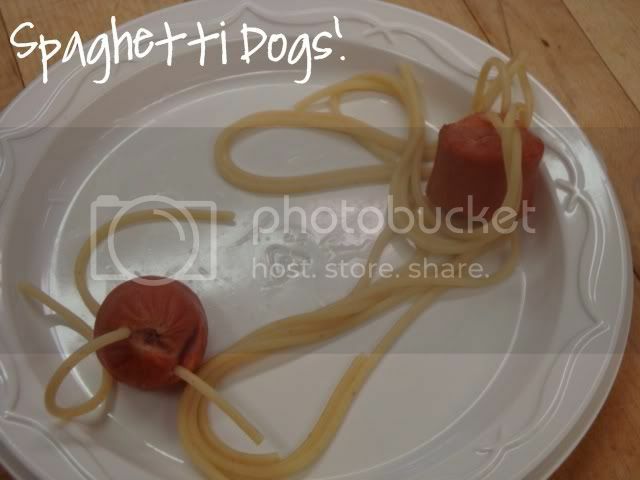 Chef Felicia is trying her spaghetti dogs too! Yummy! You know what it's like when you take kids to the grocery store with you! Things are added to the cart and sometimes I just don't even notice until we get home. This week, Mike and I took 3 of the 5 kids with us to the grocery store for "a few" things. We scurried about the store in opposite directions gathering the items we needed in the most efficient way possible. Having three children along for the ride is not exactly ideal and the melt downs could occur at any moment. As we met at the check out line, I gathered the children and headed to the car while Mike unloaded the carts and checked out. Whew, we made it through with no problems! When we got home, I began unloading bags. What's this I found? Three packs of gum, a few bags of potato chips, and.....ten packs of Kool-Aid! We don't even drink Kool-Aid! You would think that Mike would know this by now! Oh well, I guess we'll have to make PLAY DOUGH! Combine the flour, salt, and Kool-Aid in a large bowl. Stir in the oil and water until it becomes the consistency of bread dough. Knead the dough on a floured surface for a few minutes until it's firm. Enjoy! 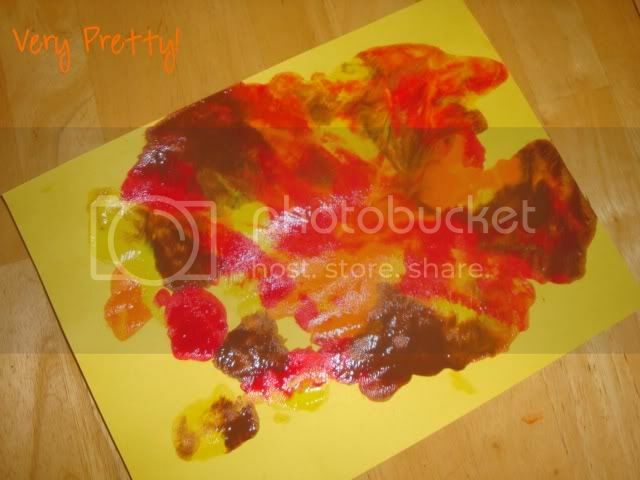 Making apple prints is such a fun way to start off fall. Today we turned our traditional apple prints into apple trees. 1. 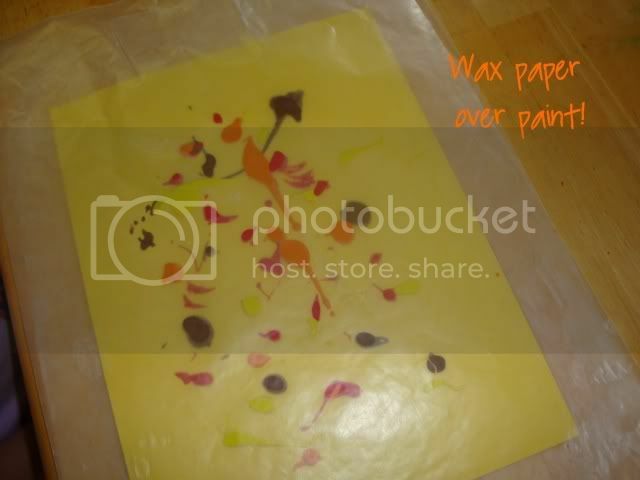 Paint a tree trunk on a piece of construction paper. 2. Cut an apple in half and dip it in green paint. 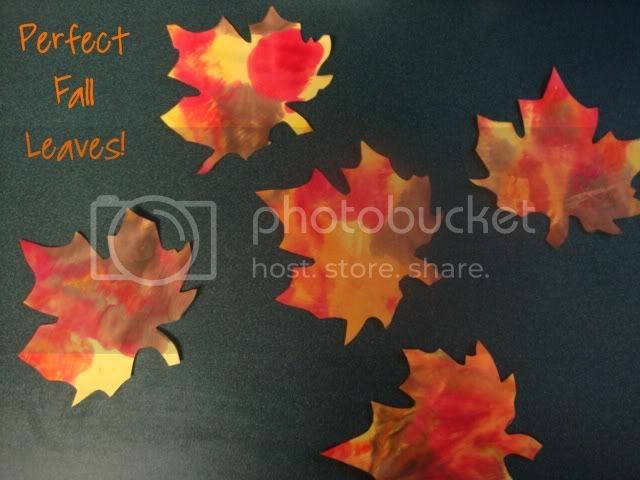 Press it on the paper to make leaves. 3. 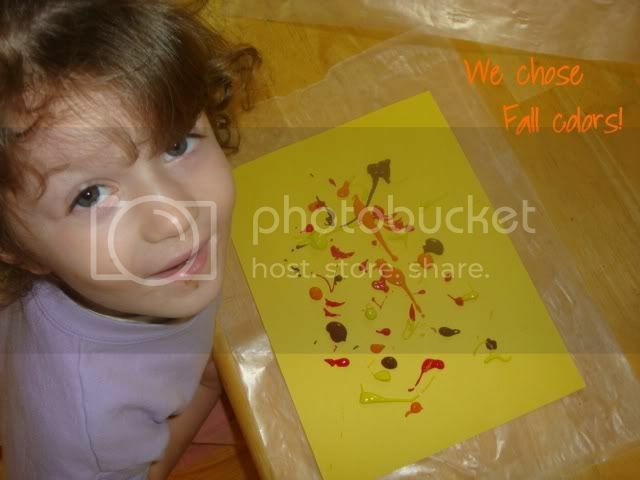 After you finish the leaves, dip another apple half in some red paint and stamp a few apples on your tree. 4. Here is our finished apple tree! ... when I find random body parts on the floor. 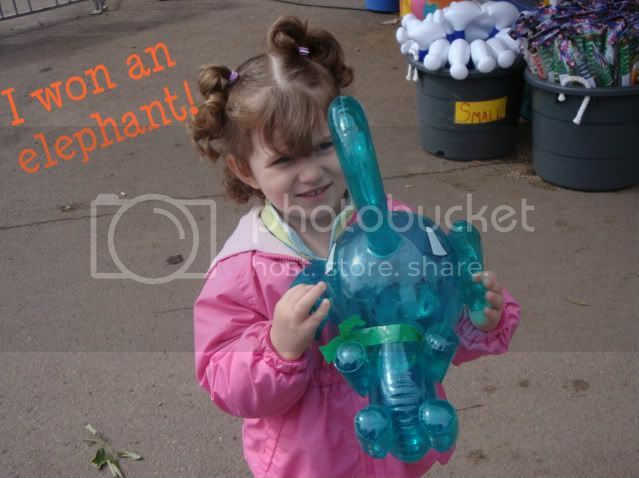 Strangely, we have no toys that this would attach to. Odd?! It happens every year at this time. I can no longer control the urge to bake something yummy. This weekend my dad gave me a great big bag of super sweet, extra ripe pears. So a pear cake was inevitable! Here's the recipe! Enjoy! 1. Preheat oven to 350 degrees. Grease and flour a 13x9 inch pan. 2. Peel and chop pears. Combine the pears and sugars and set aside. 3. Combine the flour, salt, and baking soda. Add the dry ingredients to the pear mixture. Stir in the oil, vanilla, and eggs. Pour the batter into your pan. 4. Bake for about 1 hour. Those of you who had previously read The Adams Family blog may remember Madelyn's imaginary friends. She has had several over the past few months, Pinochio Johnson, Katie, and most recently, Stacie. One or more of them seem to be here every day. I have at times offended them and have been promptly scolded by my darling daughter. One day, Stacie even got in the bath tub with me! The truth is, they have become part of our family. Friends and relatives speak of them as if they are just another cousin. I love that Madelyn has such a vivid imagination and can express herself in this way. Here's where it gets creepy for me. A few days ago we were just hanging out watching some TV, when the dog started barking. Madelyn jumped up and ran to the front door, opened it and yelled, "It's only Stacie!" So I'm wondering...am I the only one who can't see her? *This is a re-post from Sept. 11, 2008. After taking a break for most of the summer, we are now getting caught up on our alphabet book. Our next letter is P so today, we made Pp-Pony! 1. 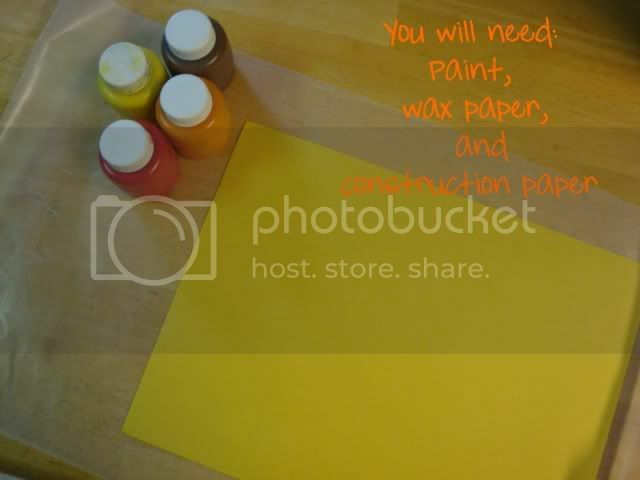 Cut out a letter p and glue it to a piece of construction paper. 2. Trace your child's foot with their shoe on. 3. 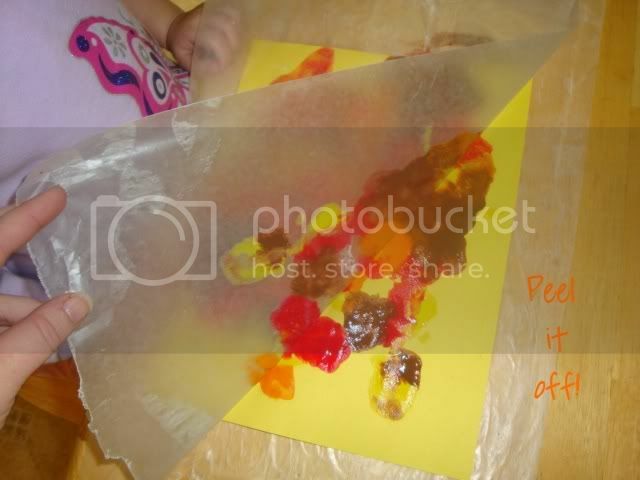 Cut out the traced foot and glue it to the paper along side the P. Be sure to point the toes down toward the bottom of the paper. I also added another small piece of paper in the shape of the pony's neck. 4. Add details to your pony and you are all finished! 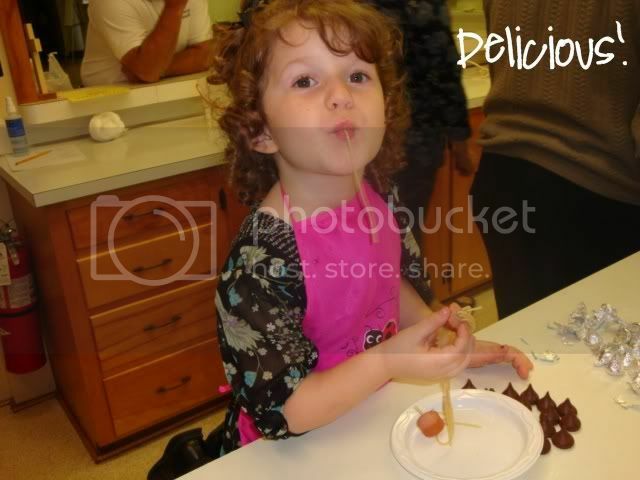 I can't believe that my baby is four! 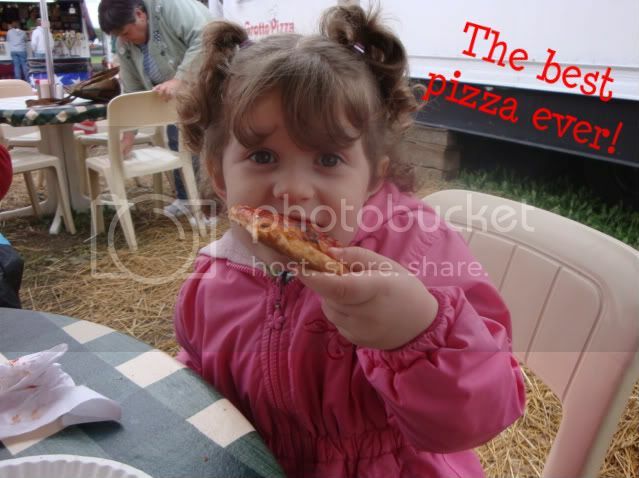 She is such a big girl now!